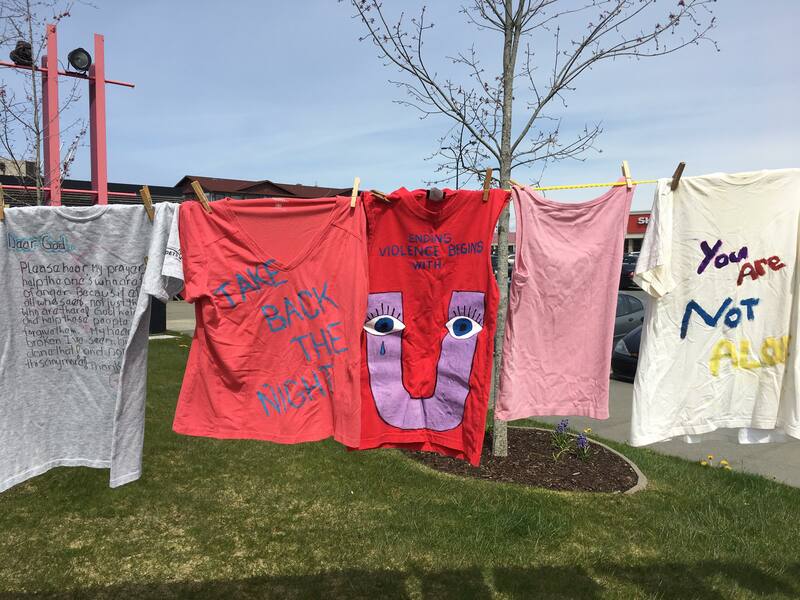 The community was invited to the Campbell River Spirit Square Thursday, April 19th, 2018 from 10am to 4pm to view the Clothesline Project – a powerful display of decorated t-shirts created by people who have been affected by abuse. The Clothesline Project takes place in communities all over the world. It is hosted locally by the Campbell River and North Island Transition Society, the Campbell River Women’s Support Centre, Community-Based Victim Services, the RCMP Domestic Violence Coordinator, KDC Health and the Stopping the Violence Outreach Program. All members of the community were invited to visit the Clothesline Project for refreshments and the opportunity to decorate a t-shirt to hang on the clothesline.